An attractive look is one of the most important features of any website, so it is vital to keep it up to date if you need to boost traffic flow and build a new audience. It is clear that design trends are changing lightning fast and it is impossible always to be current. But you can use some innovative ideas to add a touch of new style to the site. One of the most popular solutions of 2015 is the “material” design. Right now, it is primarily used for mobile devices, but there are sites that have already switched to this kind of design. You can also join this “community” and become one of the first who gave your site an innovative look. The good news is that you don’t need to design the site from scratch. Just download a ready-made theme and install it on your CMS. That’s it. Of course, minor changes are required to adapt it so that it is suitable for your business, but it won’t take much time. There is no need to search for the themes on the Internet as we have gathered below a collection of premium Material Design themes for WordPress. All the templates are professionally built by experienced developers and will make your site work to its full potential. In our collection, you will find many samples with a variety of striking effects, including sticky menu, lazy-load, parallax, vector graphics, selectable galleries and more. If you are short of money, that is also not a big deal, as here you will find themes that are available absolutely free of charge. Hurry up and download the most appropriate template from the list below. “Material” is just one of the numerous aspects of this multipurpose theme. 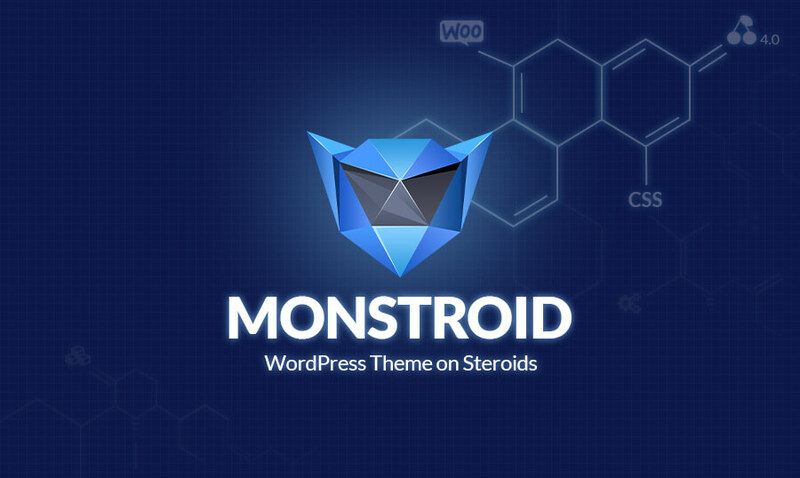 Following the hottest web design trend, Monstroid implements its best features: its flat nature, clean lines and attention to each pixel, no matter what layout you choose. This theme is built as a universal solution for all kinds of website users, so you can apply it to just any WordPress-based website. Benefit from this high-profile theme that delivers a hot look and innovative material design ideas. It is built in accordance with the latest web trends and includes a clean layout, along with parallax and hover effects, sticky menu, selectable galleries, etc. This theme allows you to build a professional and compelling portfolio in no time. It combines a businesslike style with a creative look and splendid functionality. Thanks to a clean layout and simple navigation, the recruiting manager will be able to find any information about you in seconds. Cygnet is the right fit for corporate and business sites as it comes loaded with a set of powerful tools and effects that will make your site look both attractive and powerful. The template features an animated background, lazy-load, images and buttons with hover effect. 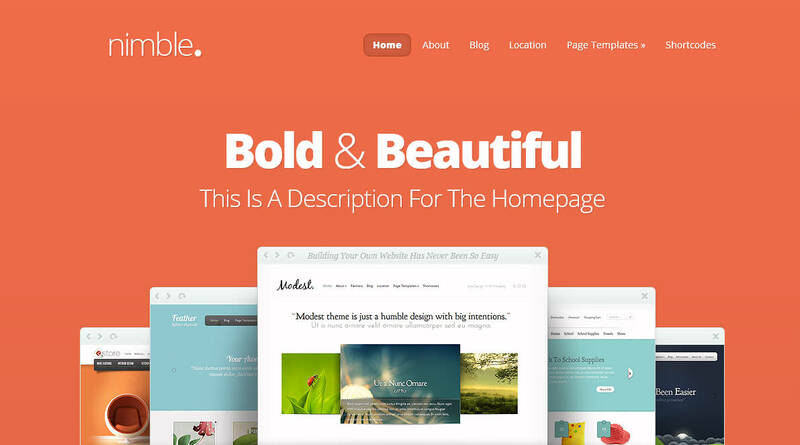 This colorful theme can be used for blogs, corporate sites and projects of a similar kind. Nimble features a full-width slider in the header section, buttons with hover effect and a variety of color schemes that make it easier to adapt the theme to your business. Build a modern and stylish site for a university or online school with this splendid educational theme. It is built with minimum visual effects to help visitors focus on the content offered rather than on the design of the site – although it does look pretty stylish. 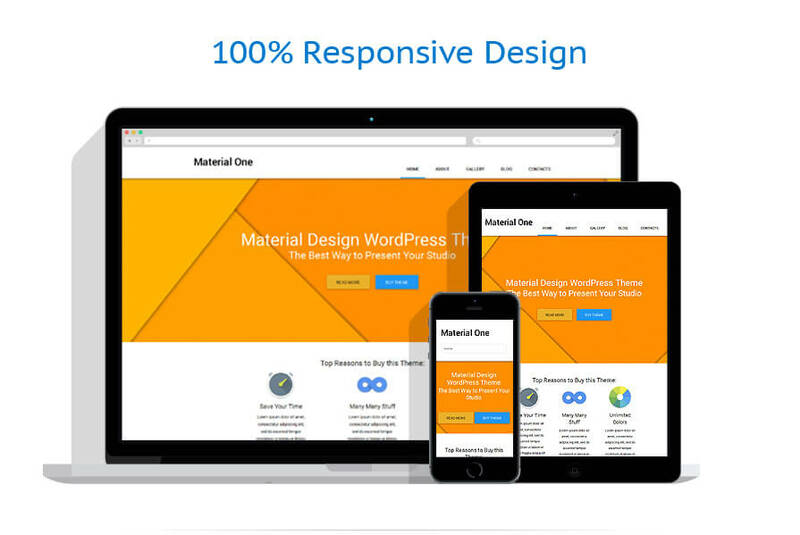 This Material theme is designed for business and corporate sites. It features a clean and minimal design with a sticky menu, full-screen image and multiple color schemes etc. Sirocco is a perfect solution to start a stylish and professional blog. It features a variety of tools and options that are vital for any project of a similar type. It allows you to showcase any content in the best possible way. Use this template if you need a simple and stylish business site not overloaded with visual effects. 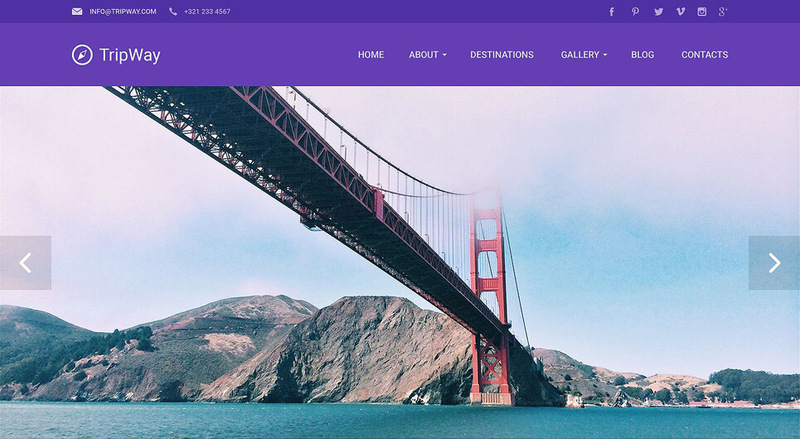 Originally, this theme was designed for travel agencies, but thanks to a flexible layout, it can be adapted to any other kind of site. A variety of powerful features and visual effects, like a full-width slider with parallax effect, galleries with hover, lazy-load, etc., ensure a stylish look and splendid functionality. Use this Muro theme for building a professional blog. It features a variety of tools that are necessary for projects of this kind. 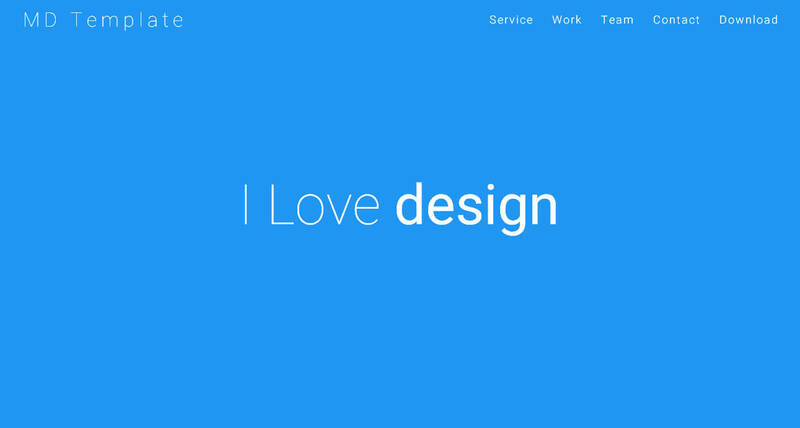 Divi is a flexible theme that can be used for sites of almost every type. It includes a sticky menu for better navigation, full-width animated slider in the header section and full width images with parallax effect in the content blocks. Here are some free templates that you can also use for your projects. This is a simple, yet stylish, template that can be used for designing a personal blog or portfolio. It includes several variations of hover effect and offers quite an unusual layout of the homepage. If you are looking for a template that is both creative and powerful, Material is the right choice. Use this one page template to build a professional online resume or corporate site. It features vector icons, images with parallax effect, sticky menu, built-in contact form, and an assortment of other tools that can enrich the functionality of the site. 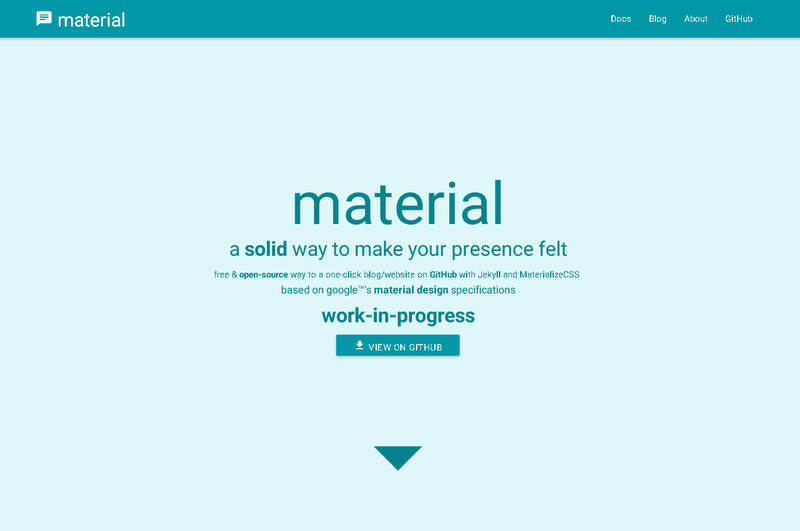 Material Gaze is a clean theme that is both simple and stylish, and will be a great fit for building a corporate or business site. Here is a great solution for creating professional and effective landing pages. It allows you to make the content more structured and attractive. Selectable gallery with hover effect and Vector icons add some unique style to the theme. Sage is a minimal Material Design theme with a clean layout. It is built to help you introduce the content to a wider audience. With any of these templates, you can upgrade your site or completely redesign it in a couple of days. They are also quite flexible, so you can easily adapt them to any project by making a few changes. No matter which one you take, a paid theme or a free one, it will make the site perform to its full potential. Thanks for the great round-up of available templates – looking forward to digging into the MDL framework soon! A useful collection of all the material WordPress template. thanks for sharing.